It should say 10th anniversary. It will be the 11th season. Ha! 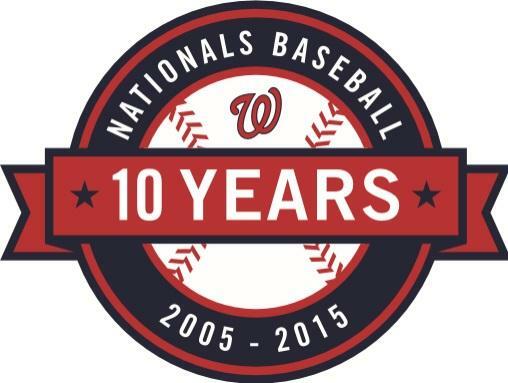 If 2005 was the first year in DC, then 2014 was the 10th season of the Nationals. Or perhaps they're celebrating 10 COMPLETED seasons? Weren't the Nationals pretty insistent upon claiming they were founded in 1905 (original Nationals/Senators) when they first moved from Montreal? IIRC, they even had "Est. 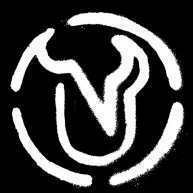 1905" on one of their logos. At least I think it was 1905. I could be wrong. 1905 was the first year the "Nationals" name was used. The original team itself dated back to 1901 in the American League. What's the difference between 10th anniversary/years/seasons/etc? Not by a whole lot there, what's with the random black, and why even have a patch for 35 years? Probably because everyone knew there was little chance of a 40th season. Though I think a few teams have celebrated 35 seasons (Mariners, Angels come to mind) with a patch. I suppose it is true they knew this was probably gonna be their last chance at a anniversary patch, but it's still kinda silly. This is something I did tweet to Chris almost a month ago and he confirmed this. I think it is going to go on the right sleeve but I'm not 100% sure. I wonder what the expos would look like today, they'd have the same logo, but I'm sure they would've changed the uniforms a bit perhaps. Every time I hope to see the Rockies pop up, and every time I don't. I'd embrace a redesign in a heartbeat. Or at least some changes, like white piping on the purple jersey. I thought that their new road jerseys in 2012 would mean new home jerseys as well, but unfortunately that hasn't been the case. It really bugs me that their home uniform has no purple on it (all-black hat, black text, black numbers, etc). They own purple. Embrace it! The Indians called, they want their 'C' back. White piping on the purple jersey might be pretty awesome. Also, I wish they'd put "Rockies" on the black and purple jerseys instead of "Colorado". Rockies is obviously shorter and makes for a bolder wordmark; it has always looked better than the scrunched-up Colorado. The first anniversary is actually the start of the second season. The second seasons is actually the second season. "years" is a little fuzzy, but typically means the same as seasons. So if a team started playing in 2005, it's 10th anniversary would be 2015, but it's 10th season (and year) would actually be 2014. This is good. Pretty sure the Nats screwed this up a little bit by using years instead of anniversary...when you think of 10 years, you think of a decade, such as 1990-1999 (or 1991-2000, depending on your definition). Strange that not one team in the whole league is not getting new unis? Also looks like the Mariners will not be changing colours. Good, the M's have one of the best modern looks in the league. Aren't the Angels supposed to drop 'of Anaheim' from their name?